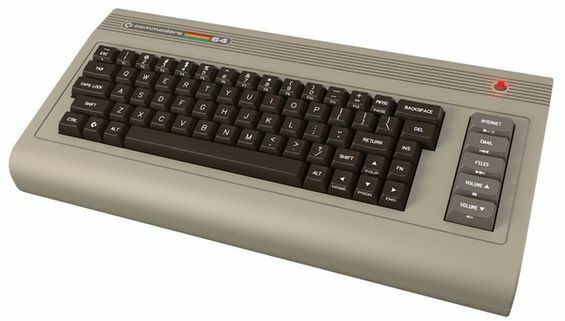 Commodore USA is now taking pre-orders for their modernized Commodore 64 keyboard PC; shipping dates are expected in mid-May or June. The base electronic gadgets come with a 1.8 GHz Dual Core Intel Atom processor and 2GB of RAM, the Ultimate version gets 4GB of RAM with built-in WiFi and Blu-ray. While these aren’t the greatest for playing the latest games, it would be cool to own one and judge the reactions of people who see you use it. Archos quietly became the favorite low-cost Android tablet maker of fanboys everywhere thanks to a solid 2010 offering. The company’s Arnova brand builds upon the same formula with even cheaper tablets. The secret sauce? The bare minimum amount of internal memory. But buyers might overlook that little detail especially with the Arnova 10 electronic gadgets shipping for only $180. 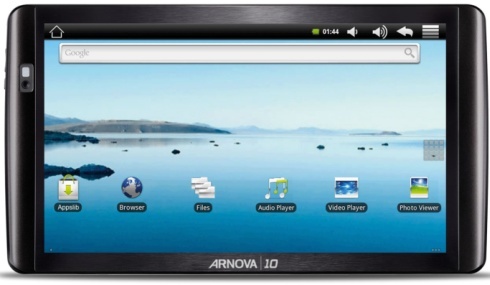 Under the Arnova 10′s 1024 x 600 10-inch screen is an ARM-based CPU running Android 2.1, 802.11 b/g, front-facing camera and an SDHC slot. Archos says there’s enough computing juice to handle 720p video . The only downside is the 4GB of internal memory, but the SDHC slot effectively counters that altogether. Liliputing points out that the model carries a $199 MSRP but can be found for $180. ViewSonic has announced the ViewPad 10 is now available to purchase. The ViewPad 10 is a dual-boot tablet that runs both the Windows 7 and Google Android operating system. The benefits of this mean that the user can use one for entertainment while the other for business. Powering the ViewPad 10 is an Intel Atom processor that is clocked at 1.66GHz. 2GB of memory is built in. The screen measures 10.1 inches and has a resolution of 1024 x 600 pixels and if backlit by LED. Multitouch is also enabled on the device. The reasons for dual-booting the electronic gadgets are that the tablet can be instantly booted in to Android for times when you need to check email, play a game or browse the web. When you need it for business then Word, Excel and other popular software is installed allowing you to still check spreadsheets when needed for example. The downside is that Android on this tablet is an older version at 1.6. Windows on the other hand, gives you an option of either Windows 7 Home Premium or Windows 7 Professional, either of which is selected at purchase. The Home Premium version is installed on the 16GB SSD model and the latter has a 32GB SSD. Price wise, $599 for the 16GB and $679 for the 32GB model.